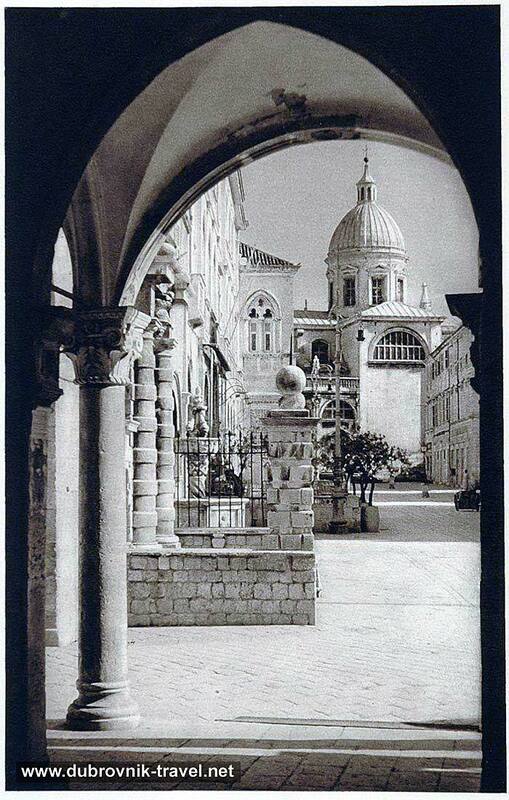 Luža Square is a busy Dubrovnik’s square located at the eastern end of the Stradun. 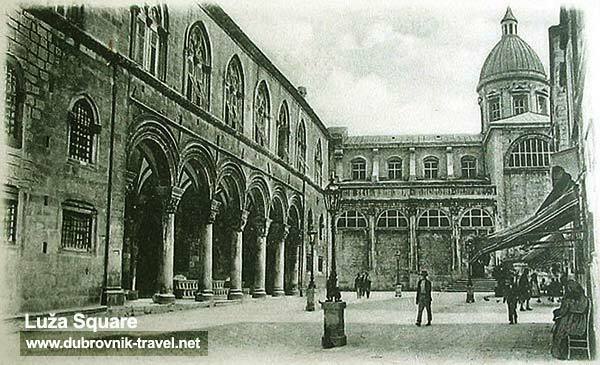 It is bordered by façade of Sponza Palace, Clock Tower, Gradska Kavana Café, Theatre Marin Drzic , Knežev Dvor (Rector’s Palace), Dubrovnik’s Cathedral and eastern façade of Sveti Vlaho Church (see above image). 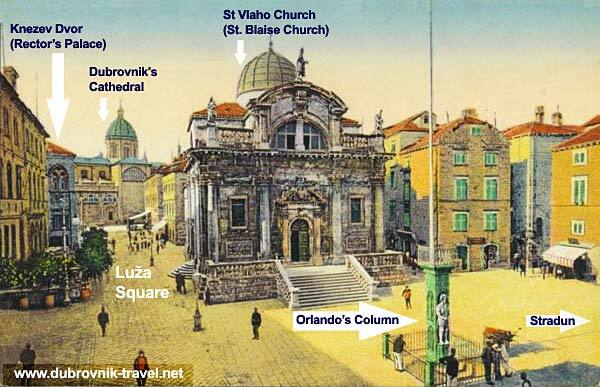 This is one of the most impressive squares in town which also features Orlando’s Column and Onofrio’s small fountain. The opening night of Dubrovnik’s Summer Festival takes place on the square as well as February’s procession of Sveti Vlaho’s day. See its location on map of Old Town.